Bob Martin Models produced a line of slope planes back in the 70s and 80s which included the Bobcat, Coyote, Gryphon. Katie & Katie II, Mystery Ship, Pussycat, SR7 and Talon. Bob also purchased the tooling and continued to manufacture the Hobie Hawk for several years after Hobie Alter stopped making them. All these planes are considered “old school” now, but the sloping community considers them among the most collectible and flyable vintage planes and it’s not an exaggeration when I say that Bob Martin and his planes are both legendary. Bob may have been the designer and builder, but he will tell you that his wife Katie was the driving force behind Bob Martin Models. Katie was also an accomplished slope pilot who could fly circles around many of the men she flew with. Unfortunately, she passed away in 2011 and the sloping community has gathered every spring since her passing to have some fun flying slope planes and keep her memory alive. And yes, Bob Martin comes to these events! 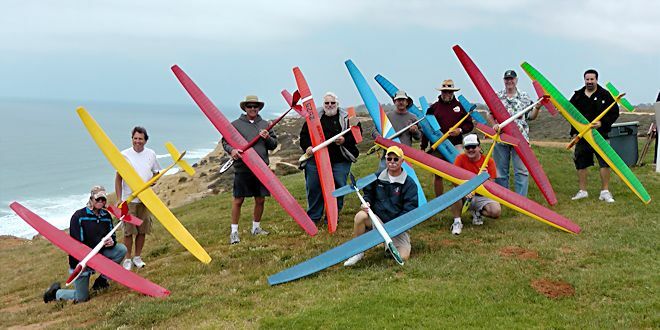 The event will be held on June 7th at the Torrey Pines Gliderport in La Jolla California and it’s open to anyone who would like to attend. If you plan to to fly (and you’re not a member of The Torrey Pines Gulls) you’ll need to go to the Gliderport office, show proof of AMA membership, complete a liability waiver, and pay a small administration fee. Then you and your planes will need to be checked out by a member of The Gulls, but they’re a friendly bunch who are eager to help. This year they’ll also be paying tribute to Hobie Alter. Hobie is best known for his surfboards and catamarans, but he also designed and was the original manufacturer and distributor of the iconic Hobie Hawk glider which Bob Martin Models would eventually continue manufacturing. 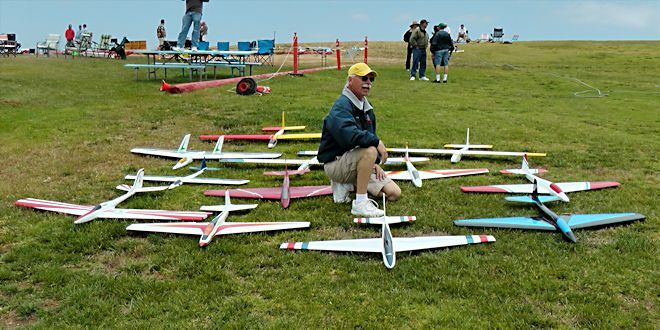 Hobie passed away in March 2014 and the event organizers encourage all interested Hobie Hawk owners to attend this year’s event and bring your Hawks to help pay tribute to him. 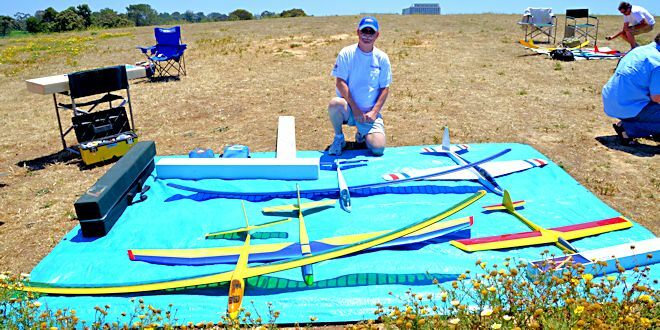 Flying will not be limited to Bob Martin models and Hobie Hawks, but there will be plenty of ’em on display and in the air. Otherwise it’s a fly-what-you-bring affair and everything from foam and covered balsa planes to modern composite gliders are welcome. The event officially starts at Noon and goes until everyone gets tired of flying (or it gets too dark to fly). There will also be barbecue and potluck food available and the event includes a raffle which always includes some rare and very special items. All proceeds from the raffle are donated to the American Heart Association in Katie’s honor. For more information, please visit the official RCGroups thread about the event. To view some photos from the first Katie Martin Tribute event, please visit my Flickr Photo Album. Please note that this has become an international event with similar Katie Martin tributes occuring in Spain, Venezuela, and elsewhere in the world, but this is a Southern California blog so I’ve focused in on the Southern California event. AirShow San Diego (formerly Wings Over Gillespie) will be held on June 7 & 8 and this offers a unique opportunity to attend an R/C event and an airshow during the same weekend. 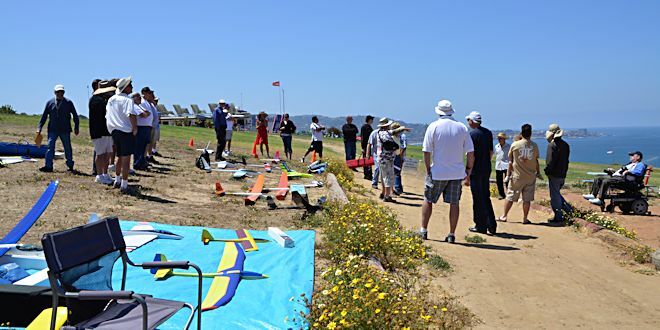 The airshow is at Gillespie Field which is only 23 miles from the Torrey Pines Gliderport so it will be easy-peasy to join us at the Katie Martin event on Saturday and head to AirShow San Diego on Sunday. That’s what I’ll be doing.